Apparently Lupe Fiascos last album LupEND which is a three disc album, isn't going to have all three discs released at the same time, with the first being released Fall 2009. It's a smart move, make one 3 disc album appear as three 1 disc albums. 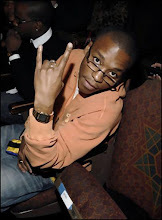 Thanks to The Lupe Fiasco Show for this bit of news. Wow that's unfortunate... After seeing this I just wonder where does this leave rap overall, he was an extremely positive influence in the hip hop community. Hopefully kanye has something up his sleeve.